Sports & Spirits is the place to go for food, friends and fun when you in Evans City or the surrounding area. Family-owned and operated for 15 years, Sports & Spirits is a great place for an evening out with friends and family, enjoying our wide variety of foods and beverages. With delicious foods from appetizers and sandwiches to gourmet burgers and seafood, you're sure to find something on our menu that will satisfy every appetite. Our award-winning chicken wings are sure to please. Check out the many flavors on our menu pages, but also ask your server for the latest additions. Don't forget to check out our Daily Specials and the homemade Soup of the Day. Sports & Spirits has won awards for the area's best wings time and again. We have won 1st prize for Best Overall Wings, and 1st or 2nd prize for Most Creative Flavor every year of the Butler County Wingfest. Our latest list of flavors is shown below on our menu and on our menu page, but we are adding flavors frequently, so be sure to ask your server for the latest list. 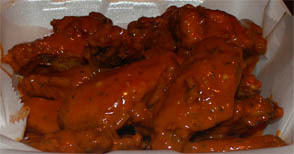 Tuesdays and Wednesdays are wing days all day! 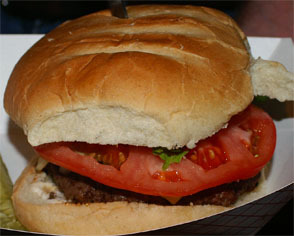 Our burgers, fish sandwiches, gourmet sandwiches and homemade soups are known all over Butler County. Our fries are golden and perfect and never over-done. Come and enjoy our food, and enjoy being with friends while you are our guests. Check with your server for new flavors! !